Fill out the form with any questions or inquiries you have for the sales consultants at Sundance Ridge. You can also call or chat with us for immediate responses. From AZ State Route 77, turn left on E. Saddlebrook Blvd. Turn left on Catalina Hills Dr. Turn left on E. Peregrine Pl. Turn left on Sundance Pl. Models will be located on your right. From the AZ State Route 77, turn right on E. Saddlebrook Blvd. Sundance Ridge is located in Saddlebrooke, amidst the spectacular mountain views of the Santa Catalina Mountain range featuring new homes available for sale on acre+ home sites in a gated community. 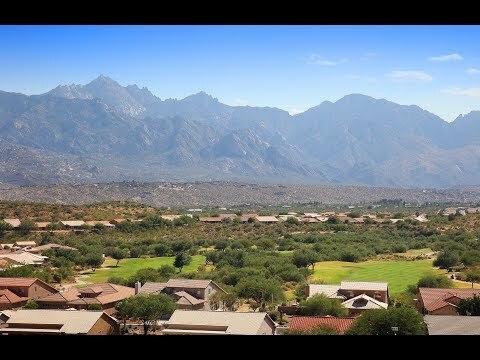 Experience the stunning vistas, access to convenient shopping and golf courses. The life you want to live is waiting for you at Sundance Ridge. Explore this community and see for yourself. The Catalina new home construction offers a front courtyard entryway and includes customizable options like a media room and guest suite. The Cesena is a new home for sale in Saddlebrooke that offers the best of convenience and comfort in single-story living. The Patagonia is a new home for sale in Saddlebrooke that includes essentials like cozy bedrooms, as well as life-enhancing extras. The Bell Tower features an impressive Owner's Suite with an oversized walk-in closet and the option to upgrade to a luxury bath. The Courtside's modern design offers customizable options including a Casita, Courtyard and additional garage space.